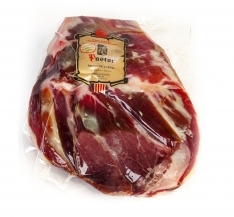 This natural DO Teruel shoulder ham from Pastor is produced using the traditional process of salting and curing. 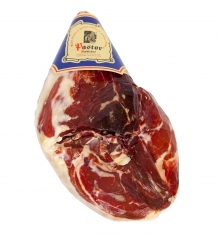 It presents a bright red color with a juicy texture and plenty of white marbling. 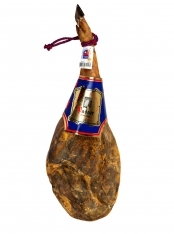 On tasting we appreciate an intense aroma and flavor with an unctuous texture, leaving a long and pleasant aftertaste. 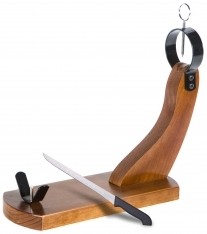 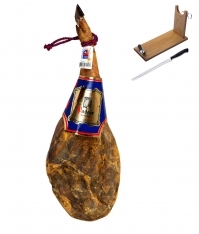 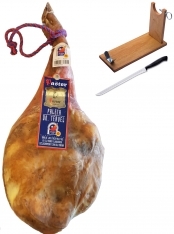 In Spanish, this product is called Paleta Natural DO Teruel Jamones Pastor.